Box office figures for the new James Bond film show that the longest-running franchise in cinematic history is in excellent health. 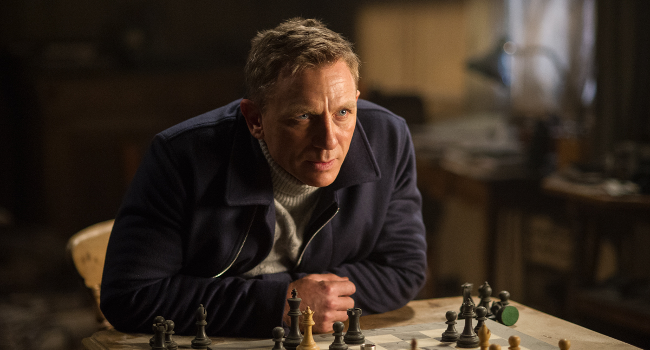 The 24th film in the series, Spectre, broke records in its opening week, racking up ticket sales of £52m ($80.4m) in its first six territories. And whether you love, hate, or don’t care about 007, the 24 movies are a film phenomenon. Decades before Disney’s Marvel Cinematic Universe or the Star Wars saga, James Bond pioneered something coveted by today’s film studio execs – a “shared universe”. In Britain, Spectre opened to an estimated £41.7m ($63.8m) in its first week, snatching the record for the biggest opening in British cinema history from Harry Potter and the Prisoner of Azkaban, in figures that bode well for the film’s American opening on Friday. The immense success of these movies is a testament to how consistently good they are. But a significant part of their quality is owed to 007’s unique relationship with his audience. For James doesn’t treat us like idiots, nor does he ask us to wipe our memories every few years. In a world where moviegoers face more reboots and franchise crossovers like Godzilla vs. King Kong (yep, that’s actually happening), studios would do well to learn from Bond’s rich history. For example, instead of paying Robert Downey Jr. a rumoured $200m for an upcoming turn as Iron Man in Avengers: Infinity War, Disney/Marvel could just (dare I suggest it) recast. After all, our brains haven’t yet melted from the repeated recasting of Britain’s most lethal secret agent. Already there have been seven big screen Bonds (more if you count the ones not produced by EON). Over the years new actors have been periodically brought in to reinvent and rejuvenate the character. No reboots, no retelling of Bond’s origin, just recasting. Compare this to modern cinema: there will have been three completely separate Spider-Man franchises in just fifteen years by 2017. The key to the Bond franchise’s success has been the filmmakers’ willingness to play fast and loose with continuity. Why hasn’t Bond aged in over 50 years? Who knows. Why is his face is different? Who cares. Like Dr. Who, another Great British pop icon, 007 has moved with the times, constantly reflecting both the era we live in and the moods we’re in as an audience. After all, how else do you explain the campness that is Roger Moore? One can only hope that the continued success of James Bond will stop studios forcing remakes and franchise reboots down audience’s throats. I mean, how many more times can you watch Bruce Wayne’s parents get shot in the face? Previous Article← Britain’s not really ‘the beating heart’ of Europe, is it George?